March 6, 2012 began the most enduring healing process of my life, to date. On that day I woke with symptoms I assumed were signs of the flu, and two mornings later I was greeted with the most excruciating physical pain I’ve yet to experience. Between then and now, I’ve worked with a fair share of doctors, visited quite a few medical facilities, underwent numerous assessments and confronted some frightening possibilities. Eventually and thankfully, I was determined to have acute septic rheumatoid arthritis of the sternoclavicular joint, a torn rotator cuff and subsequent frozen shoulder. The infection slowly cleared, and the shoulder required no surgery, just a long bout of physical therapy. So by force or choice, I started removing the obstacles between my existing life and the elusive well life I needed and desired. Why so long? I always thank my lucky stars and ancestors that I am a willful child, yet the gravity of both the blessing and curse of this trait was never as clearly laid out as it was during this time in my life. What I’ve experienced is a lot. But make no mistakes; I’m not playing my mini violin in search of sympathy. We all have our challenges to lament; some last for days or weeks, but for many, they last years. And while working to pull through the worst of mine, physically unable to throw the tantrum I so desired. I thought and wondered about those that suffered years, waited months for accurate diagnosis and went around countless times feeling ok, then not great, then a little better and then even worse than before. Members of my family, friends and loved ones, we’d had these conversations and I’d looked into their eyes as they shunned this round of that treatment with those potential effects and that other option’s predicted prognosis. Brave, obviously; faithful, probably; but willful, without a doubt. Without our will, our willingness to pursue health at all costs, we are suspended in a state of vulnerability. But how many times have we set up unhealthy scenarios in our lives by that same shear will? Perhaps we were misguided by our ambitions, or what we perceived must be done to survive or sustain the ones that rely on us? These are the questions I’ve been mulling around lately. How do we assert our will to improve and secure our health? What exactly should this entail? In the science world there is the concept of dynamic equilibrium. This state is reached when the gains of a physical system stay equal to its losses. In wellness speak this is an ongoing pursuit of balance inside and out of the body, mind and spirit. 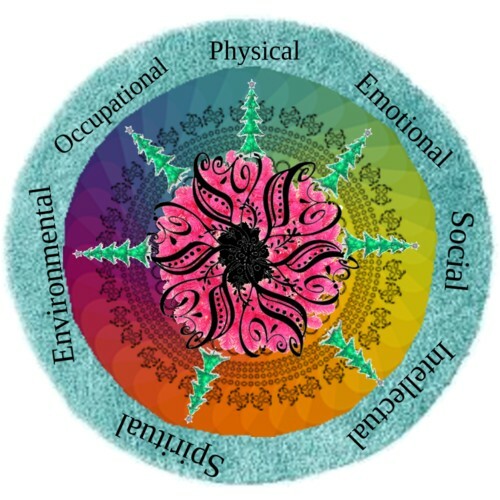 Fittingly, it is often illustrated as a wheel with spokes that represent each area of our lives from physical activity to love, spirit and even finance. The goal is to keep a watchful eye on the state of each. It is both the proactive and creatively reactive participation of an individual in the design and construction of a life that promotes and perpetuates their wellness-wholeness, soundness. This is the true work. Work that acknowledges our reality that sometimes even the best efforts don’t prevent an illness, that a crisis when not avoided should then be quickly and effectively contained; and if our first attempts fail, then we must try again with more concentrated efforts. Of course this was not my thought process while sitting in the thick of it. By no means was I that objective or proactive. Hindsight is 20/20. And as I read my interpretation, it is “matteroffactish”, never mind debatable in its efficacy. But it does bring me straight to the heart of my question, perhaps even into the realm of its answer. How can we better use our will? How far back should we sit to gain perspective? How do we determine the direction in which we should steer? Gobble gobble guys! I just had to take a moment to say thank you for enabling my nutrition and supplement addiction. Because of you, I have reason to explore the endless bounty of new concoctions and healing remedies, and I have the blessing of a lively bunch to bounce about experiences with. It’s a beautiful thing and I look forward to bringing you much more. On this very special day, enjoy your loved ones and all of those delightful thanksgiving dishes. 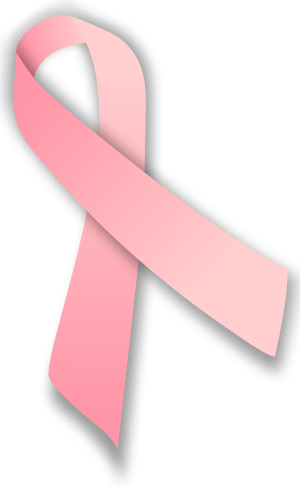 In closing out this month of breast cancer awareness I wanted to uncover some new developments in the area of prevention; and, lo and behold, I came across information on an actual breast cancer vaccine that is making good strides in the research and trial phases. Thus far, this vaccine has shown a promising ability to reduce the amount of disease recurrence, and it seems to be well tolerated by its recipients. Presently known as AE37, the vaccine teaches our immune system to identify the prominent tumor promoting cancer protein HER2 as a definitive threat warranting attack by the body. As with so many other clinical trials of experimental cancer treatments, the initial studies were done on groups where the disease had already progressed and metastasized. Though it was not expected to yield dramatic improvements in these cases, it could be an effective way to gauge the vaccine’s potential and limitations and determine any possible side effects. And in AE37’s case, as anticipated, it proved to be more beneficial as a preventive measure to disease recurrence than as a treatment for an active and progressing cancer. Subsequent trials supported this, with data results indicating a possible 40% reduction in the risk of disease recurrence along with the vaccine’s ability to be effective against various levels of the HER2 protein. Additionally, the side effects experienced were as minimal as pain and redness at the injection site and only as extreme as bone pain and flu-like symptoms. These preliminary results are of the caliber needed to advance to the later phase trials and studies, and that certainly offers a ray of hope, not only to those researching ways to enhance cancer immunity, but for all current and future survivors. No doubt much work still needs to be done, but thankfully some very thoughtful and innovative science is being practiced so that the notion of preventing this disease may actually become a reality. It can never ease the pain felt as we reflect on the plight of those loved ones lost too soon; but maybe, when we find ourselves worn by the grief, it can pick our heads up and reset our sights on all that is still possible in the world of prevention and healing. October marks one of several moments we stop to reflect on the health and mortality of not only our individual selves but of all the women in our lives. This is Breast Cancer Awareness Month and the race towards a cure is still far from being won. Too many of us have sat dissecting and combing through our family’s medical histories, tensely awaited the biopsy results, contemplated treatment options, and said farewell to loved ones lost too soon. Though progress has occurred, when one we love is taken it hardly seems enough. But as painful and frightening as it is, we cannot get stuck and must bravely continue on, arming ourselves with new information in detection, treatment and prevention.Over the next few posts we’ll look over the horizon at the latest developments and determinations recent research provides. Our first focus will be the newer guidelines for and methods to breast cancer screening. The below outlines the American Cancer Society’s current guidelines for early detection in low to average risked women*. Women younger than age 40, with no personal or family history of the disease are considered at low to average risk, depending on their individual lifestyle habits. Recently, the need for women to begin annual mammograms at age 40 has come under question. Many doctors and researchers still consider age the greatest risk factor in healthy asymptomatic women and continue to encourage women to start mammogram screening at 40 years. a chest MRI that uses magnetic fields to produce a highly defined and detailed image of the breast may be recommended along with the annual clinical breast exam and mammogram. For all risk groups, the clinical breast exams performed by our physicians have superseded self examinations. The reason being is that more cases of breast cancer have been discovered outside of the structured self examinations, like while bathing or changing clothes, than within. All agree that early detection is key, but more medical professionals are encouraging the development of awareness and familiarity with one’s own body beyond just its size, shape and feel but deeper in to more subtle changes in appearance and sensation. Most agree that yearly mammograms from the age of 50 and on are essential to maintaining breast health. For those interested in a possible future alternative to the mammogram. Breast Thermography, or Digital Infrared Imaging, measures the metabolic activity/generated heat of the examined area based on the theory that this level is always higher in precancerous and cancerous areas than in non-cancerous parts. The resulting image, a thermogram, is used to assess a person’s risk and some believe it offers more accurate information earlier and can therefore offer those determined to be at greater risk more opportunity to make lifestyle changes, take preventive measures and begin treatment options. Currently it is not recommended as a replacement for clinical exams or mammograms, but it can be useful as a complementary assessment approach for those that believe themselves to be at higher risk for the disease. For more information on Breast Thermography, visit http://www.breastthermography.com. In honor of Earth Day I am taking the opportunity to rave about one of my many favorite places on the globe-Puerto Rico! I feel very blessed to say I believe we live on an incredibly gorgeous planet, and even more blessed to vividly recall how magically I saw the world as a child and be able to say that I still do see it in that light. The thing about PR is how many natural beauties exist in such a small space. It is actually the smallest of the Greater Antilles–Cuba, Hispaniola (the Dominican Republic & Haiti), Puerto Rico and Jamaica. The island spans approximately 3500 square miles and boasts the world re-known surfing haven of Ponce, the sister isles of Culebra and Vieques, and the Rio Camuy Caves (one of the world’s largest); and this is, to say the least, a very abbreviated list of PR’s glorious wonders. The island’s volcanic and plutonic rock foundation is primarily mountainous and lies at the intersection of the North Atlantic Ocean and Caribbean Sea. Its precarious positioning not only makes it geographically diverse but keeps it geologically vulnerable. Beneath the island, the corresponding plates of those two bodies of water are shifting, sometimes moving along past one another, other times facing off at their meeting points. These various interactions are reshaping the island and making it susceptible to some extreme geological conditions. But geographically speaking, one might argue that that would be the price of the magnificence found in PR. Another perfect example is the inviting El Yunque National Forest, the United States’ only tropical rain forest. One medicinal plant with which you may be familiar is the Stinging Nettle or Ortiga Brava. Originally from the much colder regions of Europe and Asia, it is commonly found about the rainforest and known as a formidable shrub because of its tiny needle like hairs that, if touched, easily break off into the skin and release a poisonous liquid called Formic Acid. The stinging hairs are mostly found on the shrub’s twigs and lower leaves and usually only leave their victims with mild to severe skin irritations. If you should have a prickly run in with one, remove the needles as best you can, keep your hands away from your face, and wash them as quickly and thoroughly as possible. These actions within the body make Stinging Nettle beneficial for asthma, allergies, malnourishment, pain management, urinary conditions, internal bleeding and arthritis. Currently, research is being done on the herb’s impact on blood pressure, blood clotting and blood sugar. Consequently, caution should be used and medical clearance obtained before combining Stinging Nettle with pharmaceutical hypertension treatments, blood thinners or diabetes medications. Stinging Nettle should not be consumed by pregnant women or women trying to conceive. Stinging Nettle supplements are made from the specific parts of the plant as well as the whole plant and available in tincture, powder and capsule forms. Use as directed on the product’s label and always inform your physician of any herbs included in your nutritional regime. 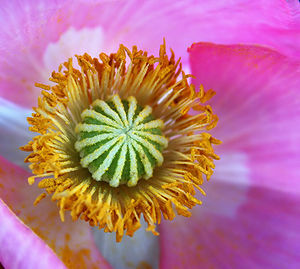 As we move into the week, I intend to carry Earth Day with me and reflect on the alluring beauty of our world. I know Puerto Rico is just one of many healing places we are blessed with, so please feel free to share some others with me.